North Yorkshire Police gave a caution to a 23-year-old junior gamekeeper on the Mossdale grouse-shooting estate near Hawes after he was secretly filmed by the RSPB resetting three spring-loaded pole traps, which are designed to catch birds by the legs. “We abhor the illegal persecution of birds of prey and we will continue to support the police and Natural England in any way we can to help bring the perpetrators of these sorts of crimes to justice. 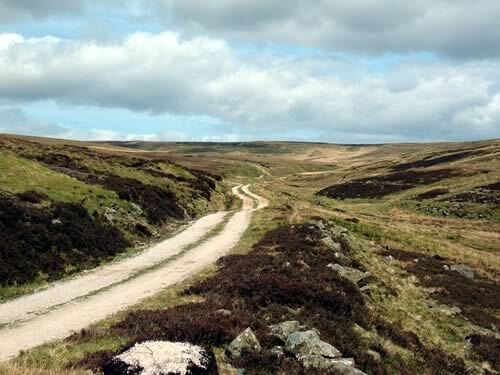 “The pole trap incident happened on a grouse moor in the Yorkshire Dales National Park. This land – like the vast majority of the National Park – is in private ownership. “At a time when the Yorkshire Dales is receiving such widespread recognition as a wonderful place to visit, it’s incredibly disappointing that the criminal persecution of birds of prey continues to damage the reputation of the area. “We know that birds of prey are a big attraction to the millions of visitors that come here, so these acts are causing economic damage as well as appalling harm to wildlife. “The Department for Environment, Food and Rural Affairs recently published a national plan to increase the English hen harrier population, which was developed in conjunction with Natural England, the RSPB, the Moorland Association and others, including National Park Authorities. We stand ready to assist those organisations, and work with our partners right along the Pennines to help deliver locally on the intent in that national plan.